Explore all types of places to stay in New York City, so you can enjoy a pleasurable vacation in one of the five boroughs! Find lodging in New York City the quick and easy way, through our comprehensive guide! 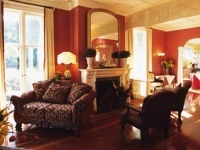 Browse through an extensive list of bed and breakfasts in NYC, and find one that best fits your needs and your budget. Search for detailed information about NYC bed and breakfasts in Manhattan and the rest of the five boroughs.